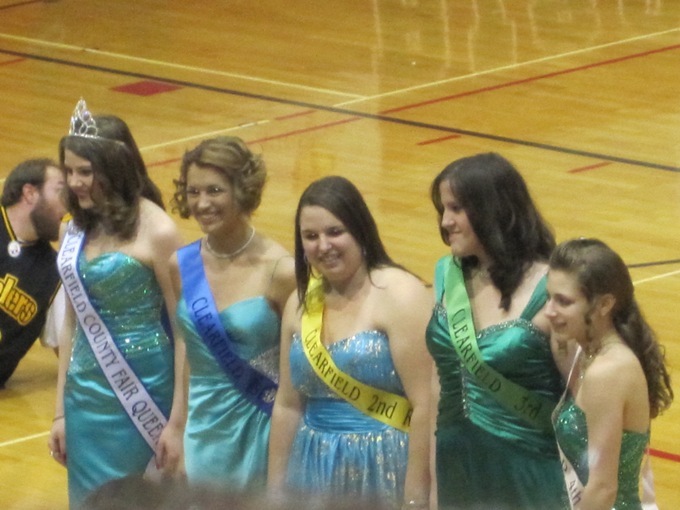 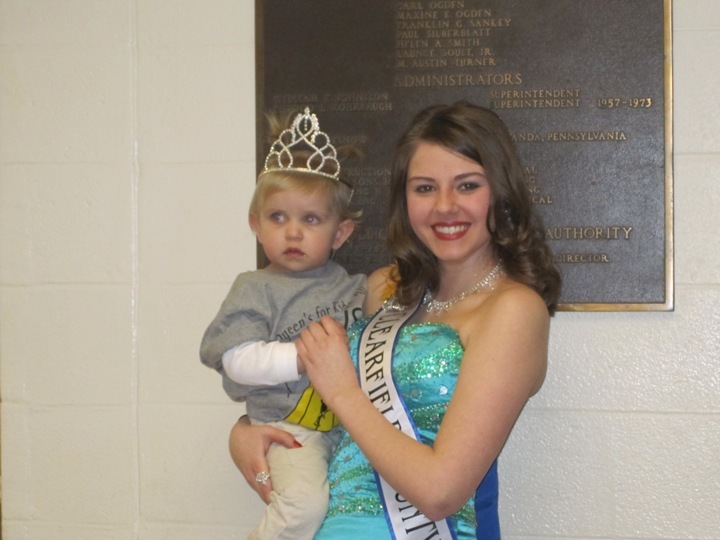 Isabelle McMonigal and Fair Queen Rachel Syktich (Photo by Tessa Waring). 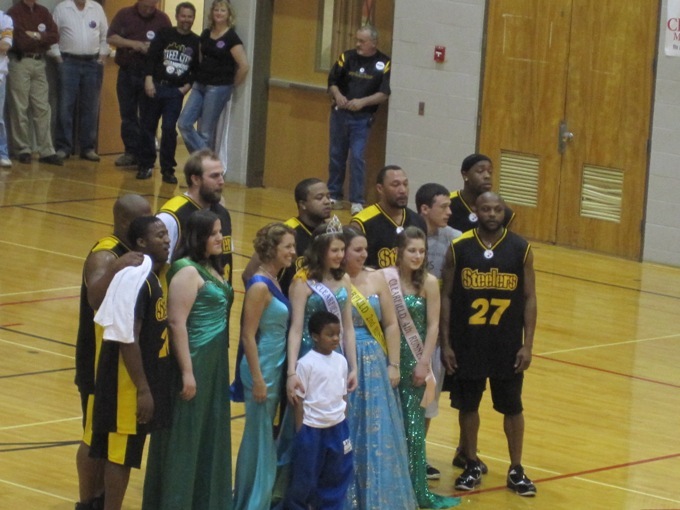 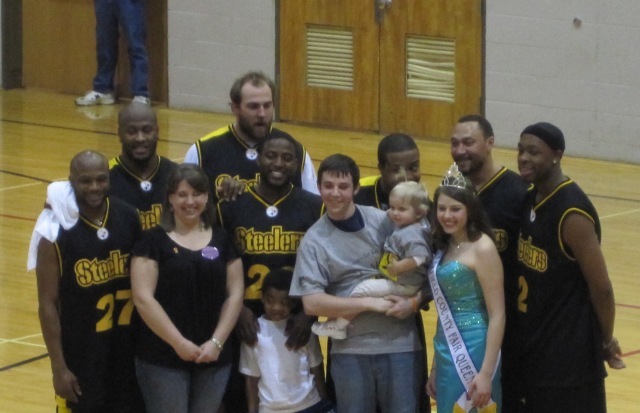 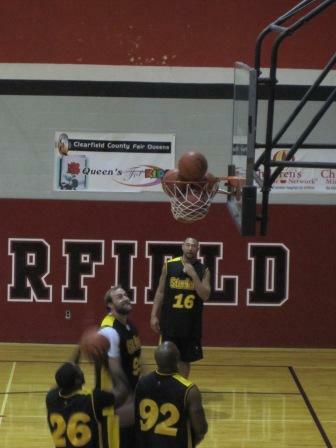 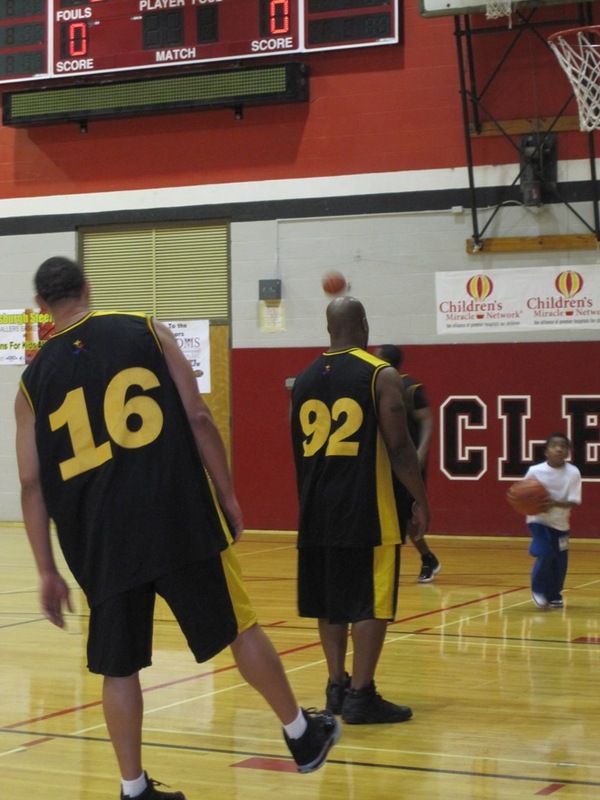 CLEARFIELD – Members of the Pittsburgh Steelers visited the Clearfield on Sunday to take on the Queen’s for Kids All-Stars in a basketball game to benefit the Children’s Miracle Network. 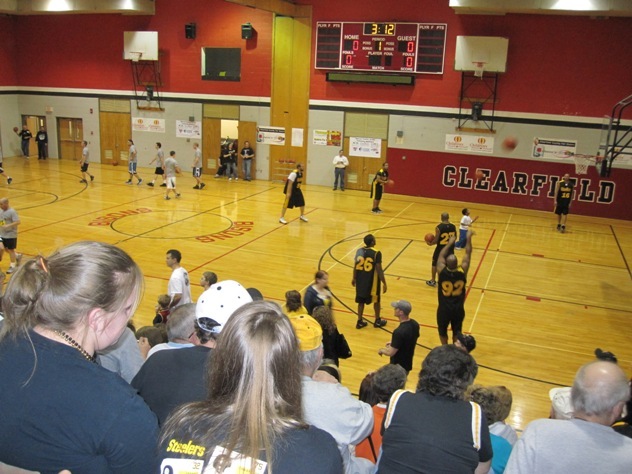 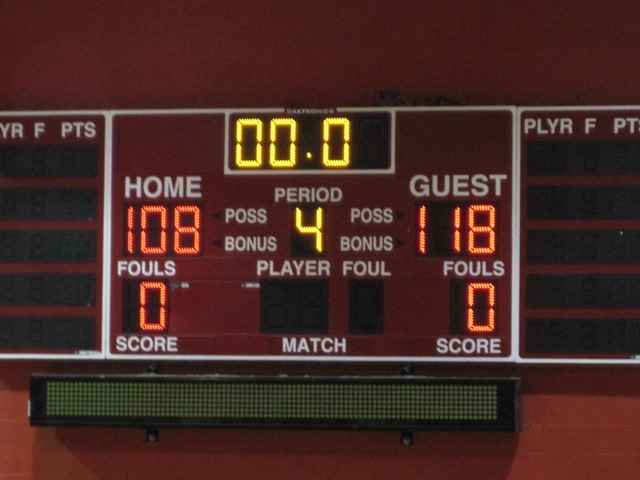 Hundreds of spectators filled the high school gymnasium to rally support for the local team who lost against the Steelers by 10 points. 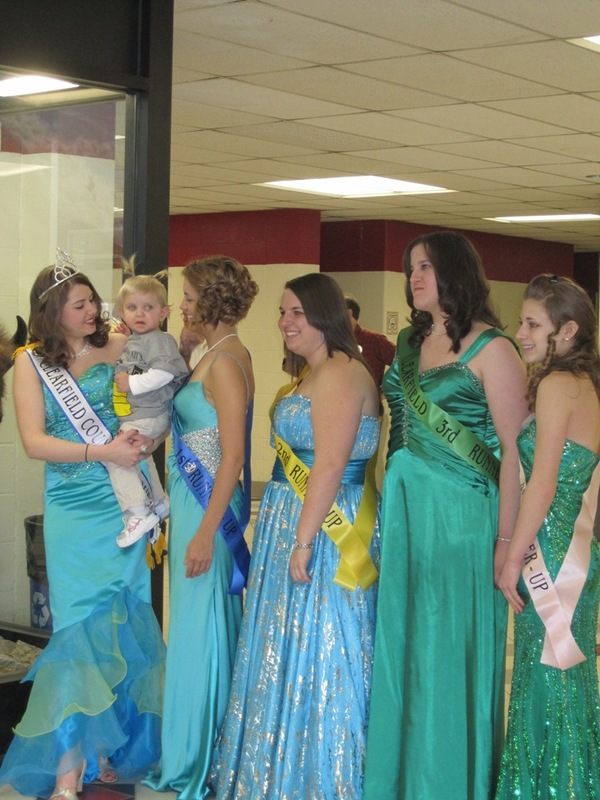 The event raised over $6,000 for the Queen’s for Kid’s program which is the largest single contributor to the Children’s Miracle Network in Pennsylvania.